Blink-182 bassist Mark Hoppus has said the band are going through a "friendly divorce" with guitarist Tom DeLonge. Mark Hoppus revealed in a new interview that the band have almost legally cut ties with the soon-to-be-ex-guitarist. "We are right now going through what so far has been a friendly divorce with our former guitarist," Hoppus told Das Process. "Hopefully things clear up and it doesn't get all manager-y and lawyer-y and all that and we can move forward." Speaking about their personal relationship, Hoppus said that "the love is still there", when speaking on the podcast. "Tom was my best friend for years and years and the thing is if you think about the people that you were friends with at the end of high school and the beginning of college. How many of those people are you still friends with? We’ve been in the same van and bus and airplane and backstage room and stage for twenty something years." The band recruited Alkaline Trio guitarist Matt Skiba to fill in for DeLonge at the band's Musink festival set. 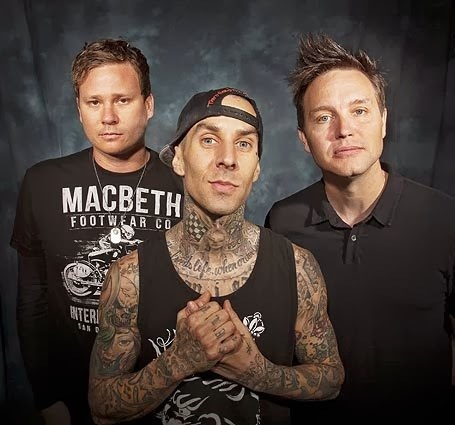 With a "friendly divorce" from DeLonge on the horizon, Blink-182 is now opening up to the possibility of recording a new album with Skiba. 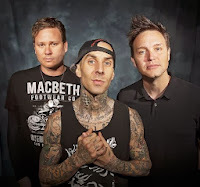 "I think that's a great idea and it’s something we have discussed," Skiba told Alternative Nation about recording with Blink-182. "It's something I would be very excited to do and I've known the Blink guys for about 15 years, and we've become good friends. Playing songs I haven't written with Mark and Travis is a blast, so to go in and create music with them would be amazing." However, Skiba went on to say that he does not yet consider himself a permanent member of the group. He revealed: "I think it’s too soon to know. I’m about to go on an Alkaline Trio tour for a couple months. There’s some time and some things that those guys need to figure out before we can start saying I’m a permanent member. But that is a hope of mine. If we’re discussing recording an album, I think that seals the deal."